Sheila R. Carroll is the Senior Regulatory and Financial Paralegal for Cosgrove Law Group, LLC. Ms. Carroll has extensive experience with compliance and auditing procedures and consumer relations practices. Prior to joining Cosgrove Law Group, LLC, Ms. Carroll worked for Buckingham Asset Management/BAM Advisor Services in Clayton, MO. Ms. Carroll worked closely with several BAM affiliated Registered Investment Advisory firms, assisting them with daily troubleshooting and client management. Prior to working for BAM, Ms. Carroll worked for Stifel, Nicolaus & Company, Inc. in St. Louis, MO in their legal department handling customer complaint matters and regulatory inquiry responses. During Ms. Carroll’s time in the financial services industry, she gained in-depth knowledge of broker-dealer and investment advisory business practices, compliance practices, and customer relations practices. Prior to joining the financial industry, Ms. Carroll worked for the Missouri Secretary of State, Securities Division as a Securities Investigator. Ms. Carroll worked closely with the Securities Division's Enforcement and Audit sections and was active in the North American Securities Administrators Association (NASAA) as well as the Missouri State Investigators Association (MSIA). 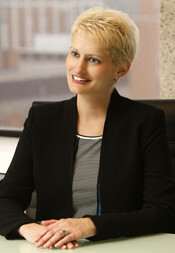 From 2002 to 2005, Ms. Carroll worked for the Missouri Attorney General’s Consumer Protection Division as an Investigator. Ms. Carroll mediated complaints between consumers and business and worked closely with the Division’s Enforcement Section.